Ultra HD, HDMI. Suitable for cable, satellite and terrestrial TV. ﻿Switches to another channel during advertising and back again, always finds your personal highlights. Hundreds of thousands of Apps for free: games, Internet-TV, radio and more. Undesirable shows like television commercials will be filtered out in an elegant and astonishing way. You will never miss your personal TV highlights. TV-Sharing and remote usage of your home-TV. Use your home TV remotely wherever you are, on holiday, in your car and the best part: you can share your streams with your friends. Even the newest High-End-Smart-TVs allow mostly only few "in-house" Apps. 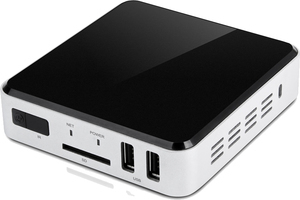 With free Android-TV boxes, such as the TeleFairy, you can really install ALL available Apps. 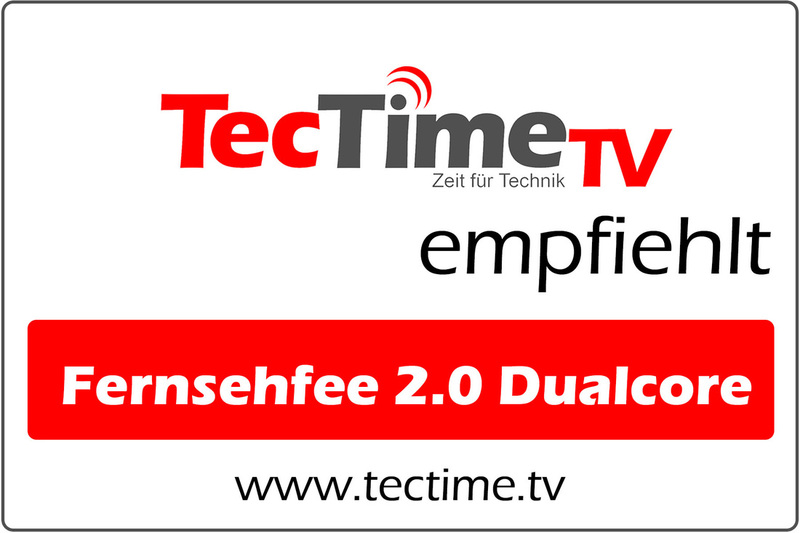 That makes every function available for you: Internet-TV, video sites, chats, Skype etc. The Android interface is similar to your mobile phone. It reacts extremely quickly due to 1 GB of RAM and a very strong processor. Media player, Internet content as well as local music, pictures or videos via USB. 2 USB connections for hard discs, keyboards, wireless mice, USB sticks, cameras etc. The most exciting feature ever: You will never again get annoyed by TV-commercial breaks!! During zapping through the channels, those with commercials are simply skipped. If a commercial disrupts your experience, you can choose how to react: mute, visit a website (facebook, email, etc.) or skip to a better show. "Better" is defined through your personal preferences (s. Personal-TV): You can enter, what you like in terms of category, title, actor etc. and what you dislike (the system is self-learning!). The TeleFairy searches always the best program for you. When the commercial on your original channel has finished, you will be led back just in time. Sound will return, websites will be closed and you will be brought back to your original channel. Whenever an automatic zap starts you will have several seconds (settable by user) to stay where you are. So you have always the full control. It happens quite often that you (or the Fairy?) discover a better show on another channel and you stay there. Have you ever complained about a "bad TV-program" or zapping around endless searching for something interesting on TV? The TeleFairy can fulfill your wishes simply as if by magic. You can set on-line or on the box what you would like to watch. For example, by show title or genre. The Fairy will search within TV-program but also within recordings of your on-line recorder in the web. The Box is also self-learning and can lead you through the TV jungle without missing any highlights.You will miss nothing anymore. Undesired shows will be filtered out. Now you will not only watch shows you like, but we will also hide the shows you dislike! The channel list is sorted dynamically. Your personal highlights will be always on top, and the shows you dislike - at the bottom. You can zap also as usual. Would you like to transfer your music from the mobile phone or laptop to the stereo sound system or your videos to the TV? 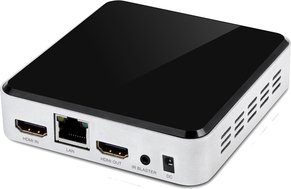 The TeleFairy offers a very nice possibility with DLNA - home networking. Here you can really easily bring videos from your home PC on the TV or the tablet or vice-versa. All devices in the WiFi can be joined in for videos, live-streams, pictures and music. You can also change important settings in your private account on the PC or your mobile phone. Everything for your TeleFairy device is accessible through our portal. You can choose your favorite actors, categories or titles to receive notices when your favored shows will start on another channel. Since all settings are stored local and synchronized with the cloud, the management of multiple boxes is very easy. In a house with several boxes (living room, bed room, children's room) or a hotel, a gym or hospital all TVs can be configured with only one account. All recordings within a WiFi-network can be played on an android tablet or phone with our Ad-Fairy App. Plus: All recordings can be compressed and uploaded to Google Drive. So you can continue watching TV next day on the move. If you find some interesting content (music, youtube video, download-links) on the web, send it to your account at homeloadtv.com and your box will start the download at home immediately. When you will come home, your videos have been loaded and are ready to watch. You can send in this manner also files on the TeleFairy box to your friends. At the end of a commercial break you will receive a short message/vibration/sound on your mobile phone.